LANCASTER, Calif. - Lancaster used a big second inning to go in front by nine runs Sunday, but Modesto came all the way back to win, 10-9, at The Hangar. The Nuts scored 10 unanswered runs after the JetHawks put nine on the board in the second inning. Lancaster (0-4) enjoyed its best inning of the season early in the game. Casey Golden started the second inning with his second home run in as many games. He was the first of 14 JetHawks to come to the plate in the inning. Lancaster scored nine runs on six hits. Sean Bouchard had two hits and three RBIs in the inning. Things went downhill after the big second inning. Modesto got on the board in the top of the third inning and added two more in the fifth. Starter Antonio Santos left in line for the win, allowing three runs in five innings with seven strikeouts. Modesto (4-0) continued chipping away in the late innings. Gareth Morgan hit a two-run home run in the sixth inning, and Luis Liberato hit a two-run shot in the seventh. The Nuts took the lead in the eighth. With the bases loaded, Joe Rizzo singled to centerfield. Matt Hearn bobbled the ball in the outfield, allowing all three runs to score. Hunter Williams (0-1) allowed the go-ahead run in defeat. Modesto's bullpen was fantastic behind starter Nick Wells, who allowed all nine runs in the second. Four pitchers combined to shut out the JetHawks over the final seven innings. Jake Haberer (2-0) picked up his second win, and Joey Gerber earned his first save. The JetHawks are now 0-4 for the first time since 2012. The team was swept in a four-game series at The Hangar for the first time since 2017. Lancaster's season-opening seven-game homestand continues Monday with the start of a three game series against Lake Elsinore. 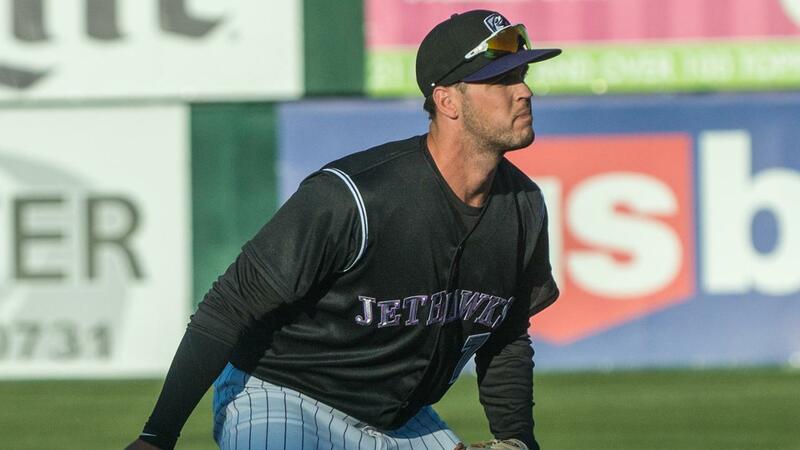 Matt Dennis is set to make his first start of 2019 for the JetHawks, against returning Storm righty Ronald Bolaños. First pitch is at 6:35.